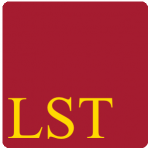 Welcome to the LST Science Blog! Here our science writers will post short articles on topics that are interesting and relevant to students studying science from GCSE up to undergraduate. Some of the posts will be written by our tutors, some by experts in education and science. We hope to bring you plenty of tips on exam and revision techniques as well as prepare short guides into topics such as University applications, interviews and career choices. We hope you will enjoy our articles.